We all know that popular milk tea shops are everywhere now in Manila, and there was also rave the past years, people were addicted to it, most of these popular tea shops offer just the same taste or quality. Then here is this one shop which has its own kind of approach to their teas that makes them unique and I believe will make them stand out to others, it is the Super Duck Modern Tea Shop. 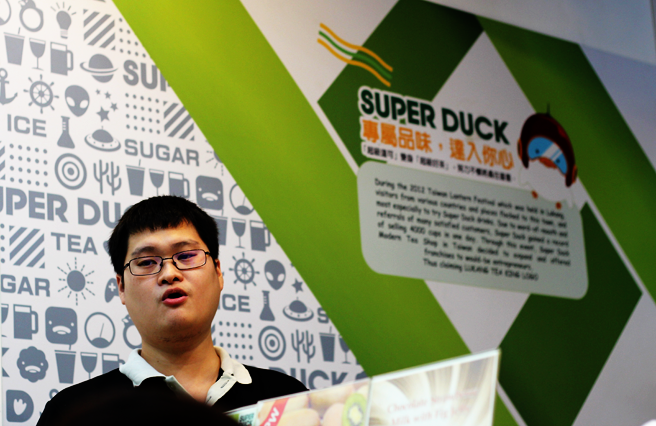 Super Duck (which means 'big brother' in Chinese) Modern Tea is a tea shop originally from Lukang, Taiwan and was brought here in Manila by a group of Filipino-Chinese businessmen around 2011. 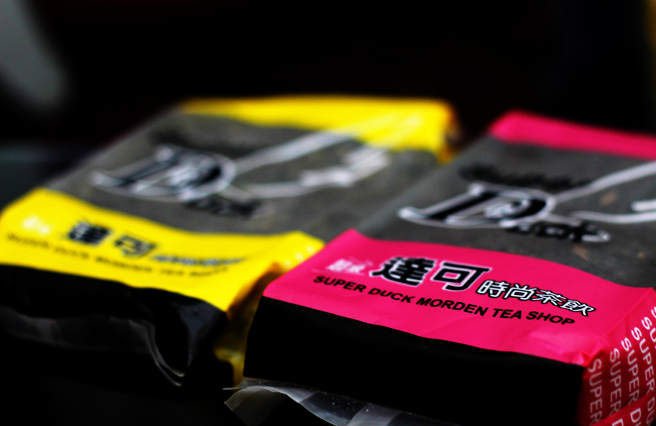 To be honest, Super Duck is one of the tea shops that are not that yet that popular in the Philippines. They also have an odd (but cute) name for a tea shop that’s why some wouldn't even know that they sell milk teas. 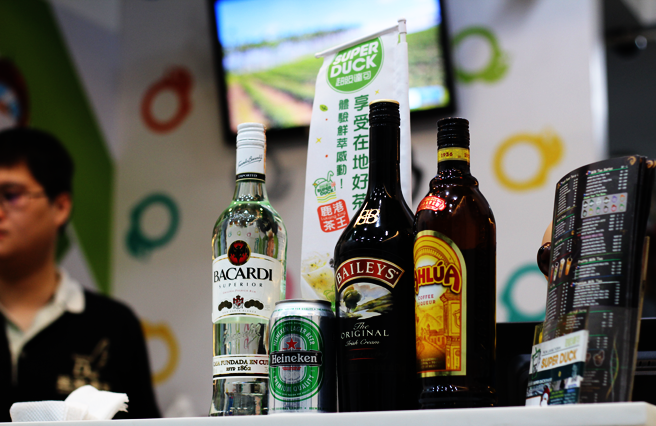 Super Duck has many selections of drinks which have a wide variety of flavors. And compare to other milk shops, everything is real on the flavor. Their tea is authentic, they don't use artificial additive. They really use fresh fruits (which are locally outsourced), they don’t use concentrates, powder or syrup. Also, it is the only tea shop in the Philippines who uses cane sugar, which is better and healthier. 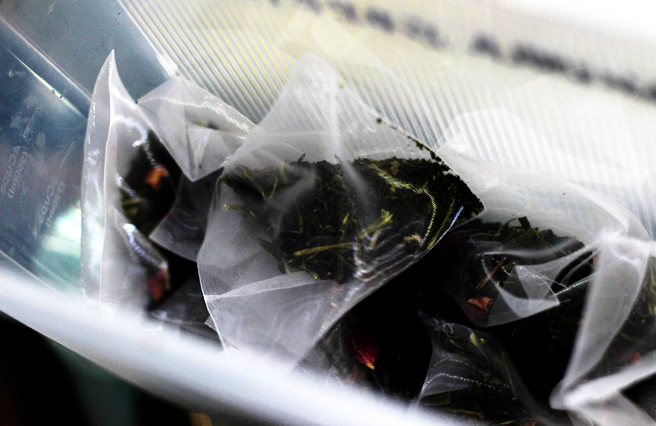 They also offer tea bags which serve unique fresh flavor teas like Sakura Green Tea, Golden Oolong Tea, Lavender Green Tea, and Rose Flower Tea. 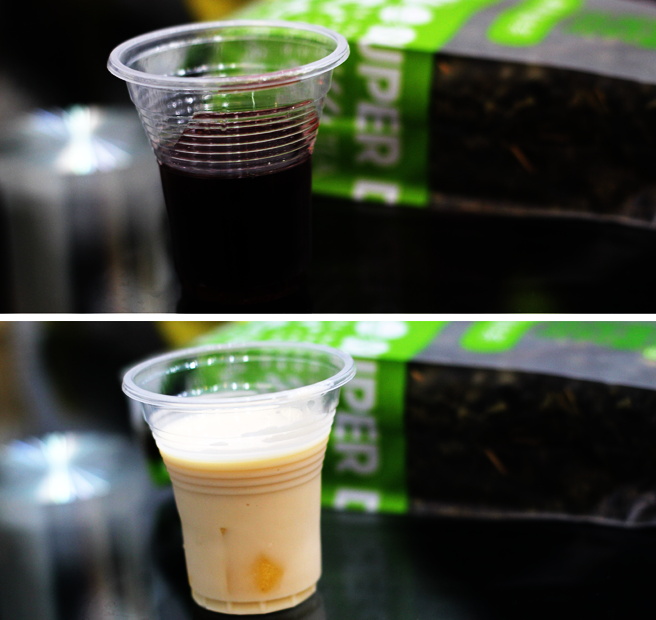 And with these plain or basic teas, you can customize your own drink from it. 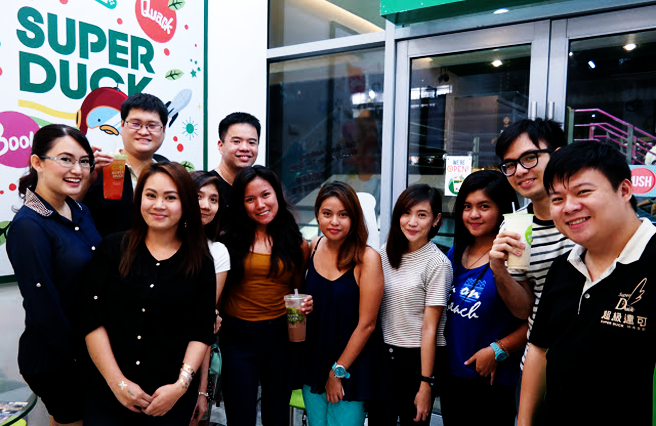 There are fruit teas, Yakult mixes, milk tea series, Nai Kai series, and more. Here are some of their bestseller mixes I've tried..
Teas with added healthy sinkers like the Grass Jelly – which helps to some health problems like cold, infections, and high blood pressure. Then there is also the Perilla Seeds – which prevents different diseases like cardiovascular disorders, cancer, inflammatory, etc. 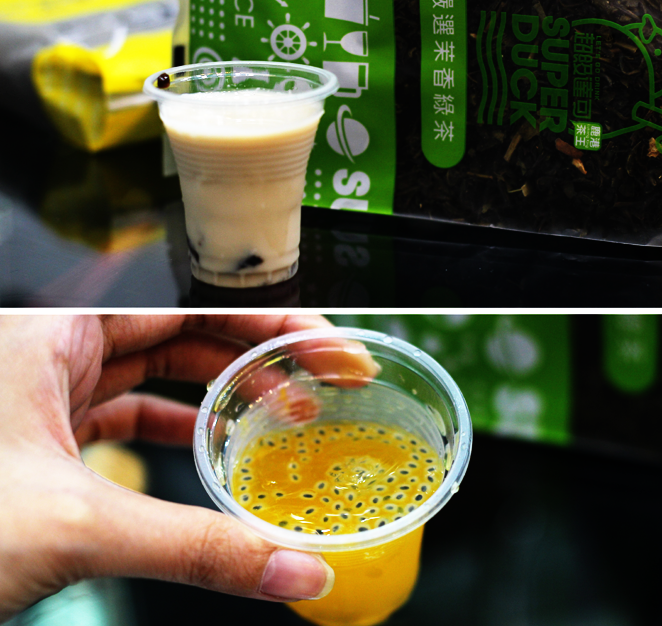 Wintermelon Milk Tea - with Grass Jelly as the sinker. The sweetness level of this drink is just mild, because they don't really use syrup flavor. But the taste was just fine. Exactly what the flavor should taste. My personal favorite is from their Nai-Kai series, the Wintermelon Nai-Kai. Nai Kai means something ‘to cover with milk’. 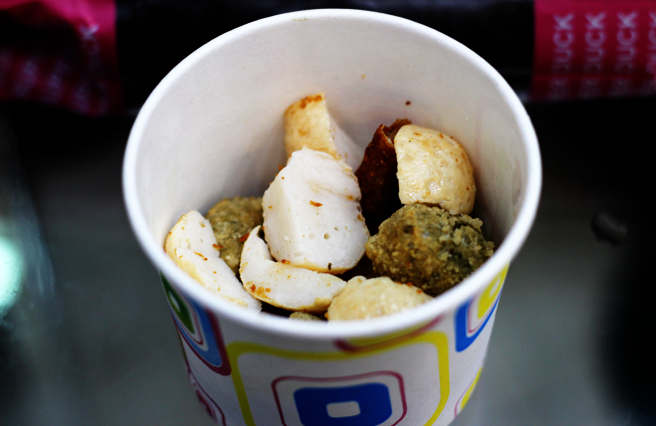 It comprises of rock salt, which is a Himalayan salt (healthier) and a cheese. I just love the blending of the creamy cheese on top and your choice of drinks underneath. 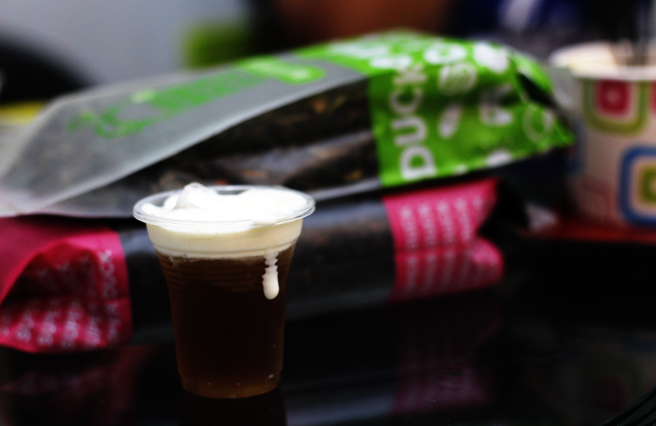 Bailey's Milk Tea - my favorite, must try! And aside from the different mixes of drinks or milk teas I've mentioned. 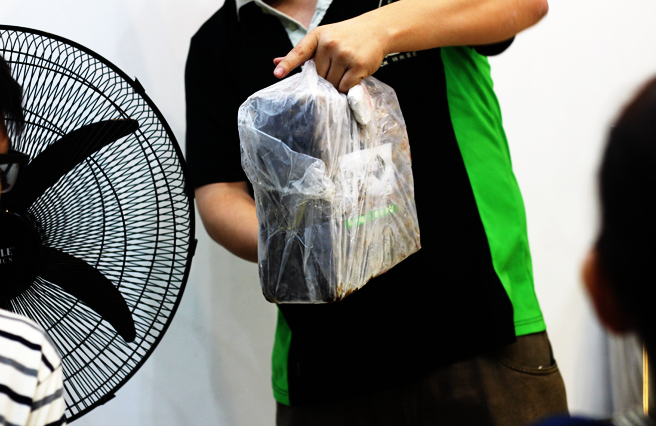 They also offer some meals which are actually pure healthy foods. And this is in favor for all the vegetarians out there. 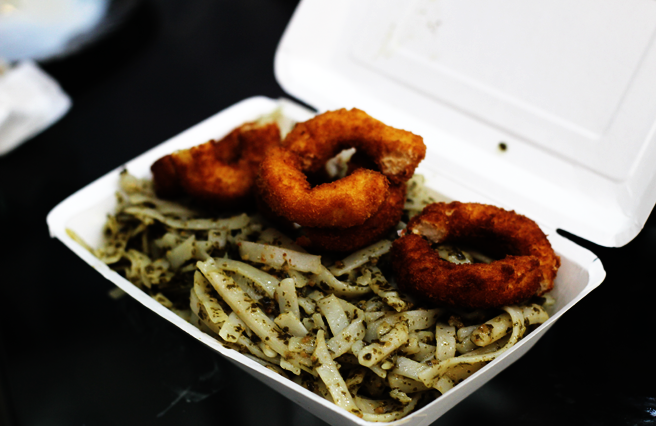 Cheesy Pesto Calamari - It was okay. The taste of pesto sauce was just right. 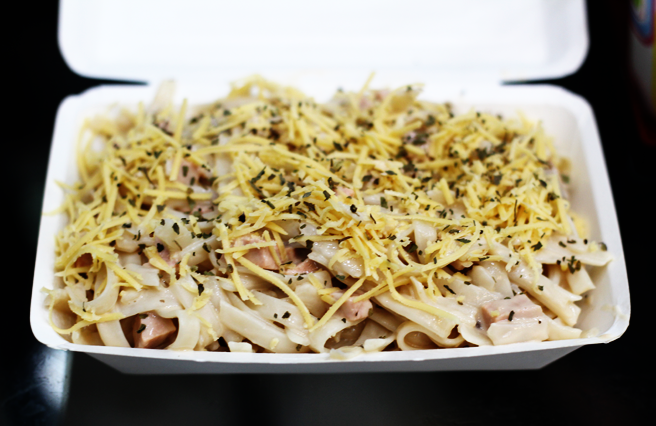 There are also veggie calamaris on this pasta as the toppings. 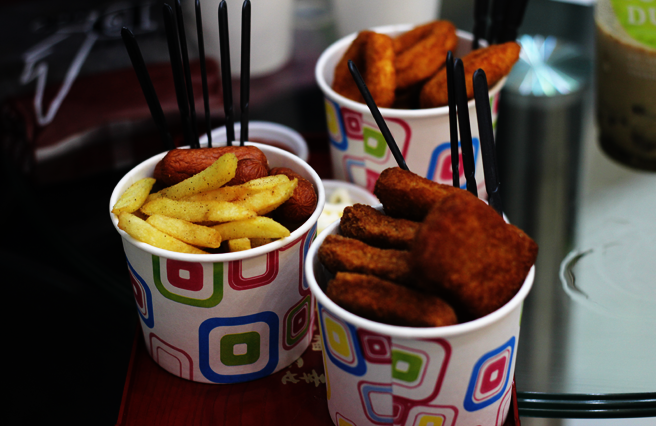 Then they have what they call ‘quackers’ – Nuggets, Cheese Dog, Fries, Calamares, Mushrooms, Seafood Cup, Wedges, and Asian Dumplings. All of these are vegetarian! 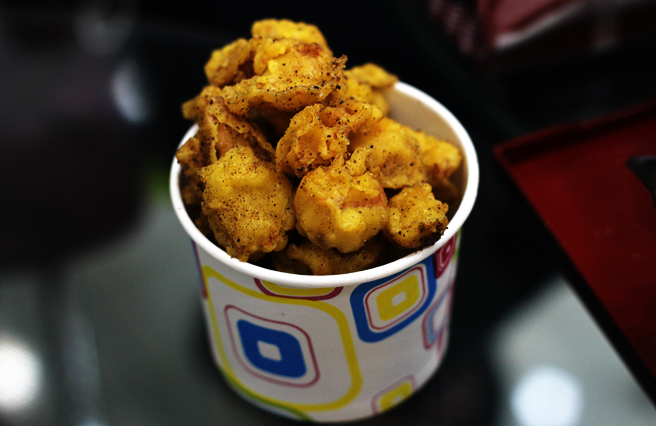 Actually it was my first time to try Veggie meat meals, that’s why I was really amazed on the twist they make. And it was really good. Not just tasty, but also healthy.